Many people rave about pesto when it comes to making their favorite pasta. And while green pesto is the most popular, I personally prefer a tomato pesto recipe. 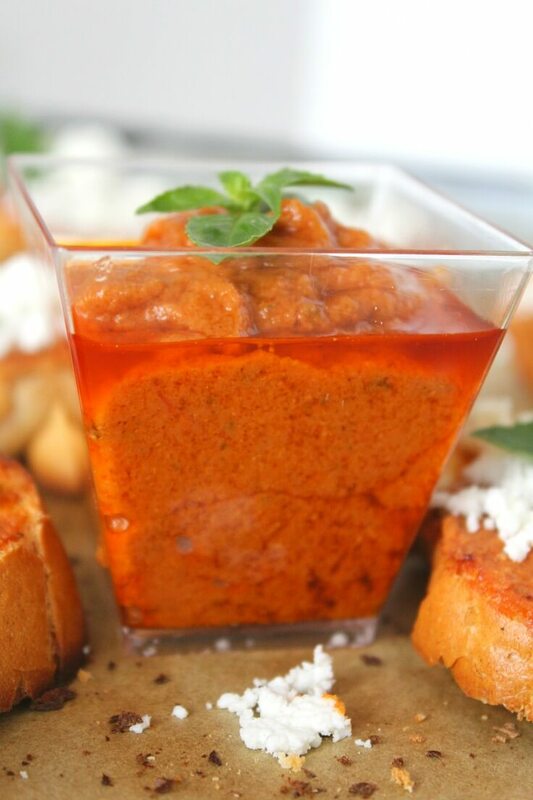 Its vibrant color and unmistakable taste makes this sauce or spread truly stand out and ads lots of flavor to any pasta or chicken recipe. 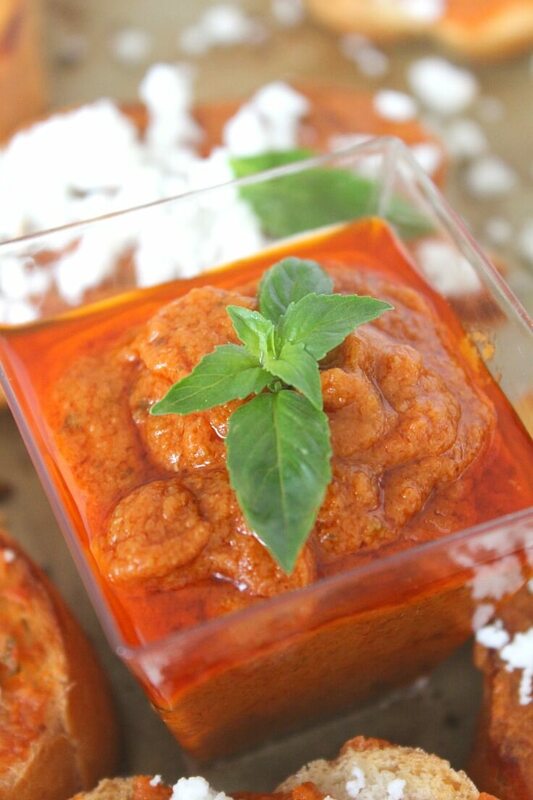 But pasta is not the only dish I like to use this tomato pesto recipe. I recently made some delicious and super quick crostini with feta cheese (recipe coming next) and I thought this sauce will be the perfect match for this simple combination, which it did! My little crostinis were so good I gulped down half a dozen in one go. Had to make another batch for my guests. 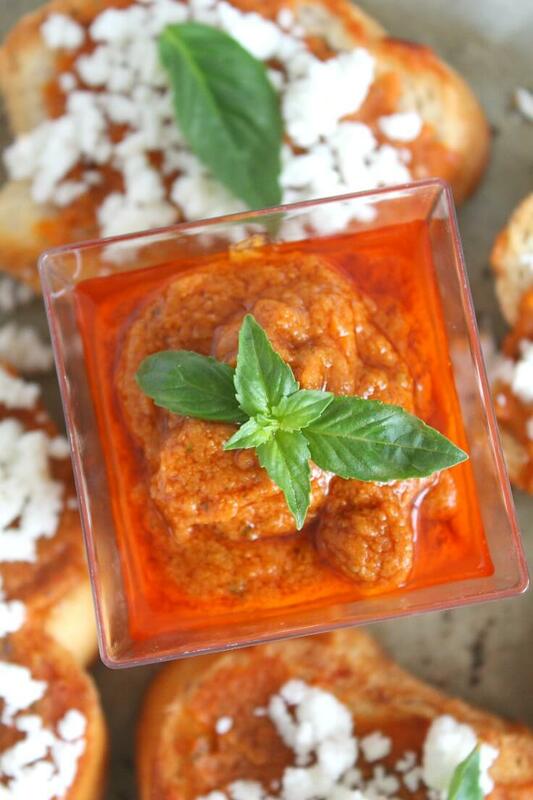 So if you’re entertaining this season, you might want to give this foolproof tomato pesto recipe a try. Quick and easy to make, this bright, savory and rich pesto tastes so much better than the store bought version!